Following a $90 million renovation, the Historic Atlantic City Convention Hall re-opened in 2001 under its new name "Boardwalk Hall." It includes an Arena that can seat 10,500 people, and a ballroom that can accommodate 17,000 people for a concert. Boardwalk Hall is located at Mississippi and the Boardwalk. Boardwalk Hall is one of the premier entertainment locations on the East Coast. 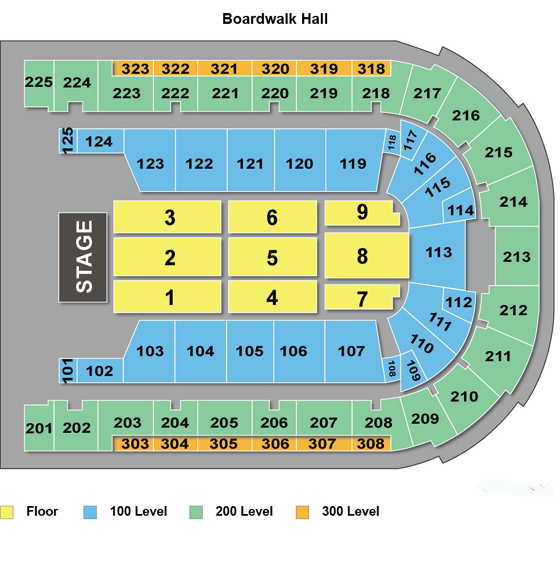 Billboard Magazine reported that Boardwalk Hall is the top grossing mid-sized arena in North America. During 2010 the 14,700-seat hall grossed more than $15 million in ticket sales, and attracted 252,577 attendees for 35 ticketed shows that include 15 concerts and seven sellouts. The Miss America Pageant was held at Boardwalk Hall, from the hall's opening until 2005, after which the Pageant moved to Las Vegas. However, in 2013 the Pageant returned to Atlantic City, and to Boardwalk Hall. To crown Miss America 2017, the Pageant was held in Atlantic City and Boardwalk Hall from September 6th to 11th, 2016. The Organ at Boardwalk Hall is located in the main auditorium of Boardwalk Hall. 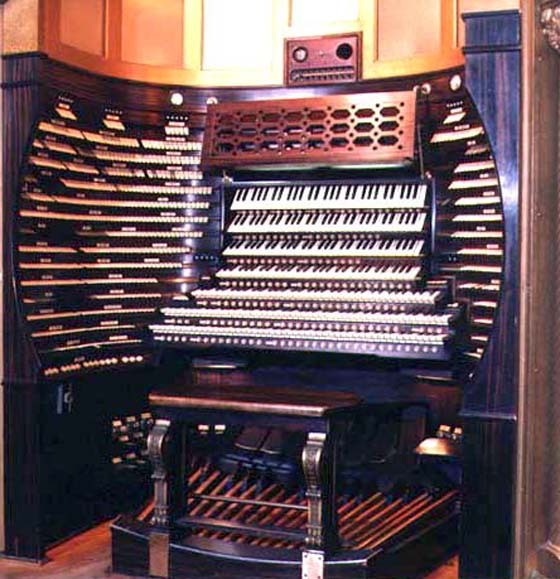 It was built in 1929, by the Midmer-Losh Organ Company, and is the largest organ in the world, as measured by the number of pipes, 33,112 of them. It holds the record for the loudest musical instrument ever built. This pipe organ was damaged during the renovations of Boardwalk Hall. However, it is in the process of being restored, and is now partially working. Credits: Photos of Boardwalk Hall from the Atlantic City Convention & Visitors Authority. 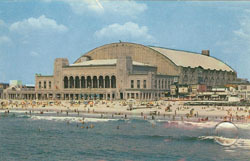 Before it was renovated and renamed Boardwalk Hall, the building was called The Historic Atlantic City Convention Hall. The Convention Hall originally opened in 1929. The Hall was constructed without roof posts and pillars, and in its day, was considered an engineering marvel. It had 268,000 sq. ft. of exhibit space and 20 conference rooms. It also had, what was at the time, the world's largest stage, measuring 110 feet wide and 85 feet deep. 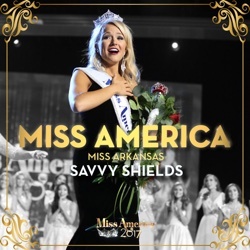 Many famous events were held there including: The 1964 Democratic Convention where Lyndon B. Johnson was nominated, the Miss America Pageants and the world's first indoor football game. The Beatles played there, as did Pavarotti, The Rolling Stones, Fleetwood Mac, and Barbara Streisand. Convention Hall was large enough to hold indoor football games, and the 1964 Liberty Bowl game was held there. The Convention Hall's Main Auditorium Organ built in 1929 was, at the time, the world's largest pipe organ, with 33,000 pipes, and is in the Guinness Book of World Records. It holds the record for the loudest musical instrument ever built. This pipe organ was damaged during the renovations of Boardwalk Hall. However, it is in the process of being restored, and is now partially working. Photo credit: Convention Hall photo by Jack Freeman.